Bitcoins Energy Consumption An Unsustainable Protocol That Must Evolve? According to VICE Motherboard, In June 2015 one Bitcoin transaction required the same amount of electricity as powering 1.57 American households for one day, of which the average sized home is approximately 2700 square feet. To give some global context, 1.57 American homes roughly equals 20 Hong Kong homes or 11 mainland China homes. As the Bitcoin network grows so does electricity demand and today the average Bitcoin transaction costs as much as powering 3.67 average American homes for one day, or 46.75 Hong Kong homes and 25.7 mainland China homes, respectively. In June 2015 the Bitcoin network was consuming enough energy to power 173,000 American homes and today that figure has grown to 1,018,762 which represents a ~6x increase. If we assume it’s still early days of this ecosystem where Bitcoin can process seven transactions per second, then just how energy efficient and sustainable will it be as we begin to imagine scaling out Bitcoin so transactional throughput and volume can compete with the likes of VISA and its 24,000 transactions per second? The price of Bitcoin has increased of late. However, kWh, fiat currency, and credit card balance variables have not and so the conclusion is still same; mass adoption of Bitcoin across US households will result in very large increases in electricity use relative to existing financial systems. Other counterarguments describe Fiat currency creation and distribution costs, such as printing bills or minting coins or the cost of building a bank or credit union branch, however the latter argument is less impactful given that substantial number of branches that have already closed and are projected to close over the next decade as consumer preferences switch to mobile banking. Over the next decade, as many as half of all U.S. bank branches could still disappear, according to Keefe, Bruyette & Woods, a financial services research firm. To give some more comparative context with respect to the electricity cost of Bitcoin, CERN uses 1.3 terawatt hours of electricity annually to power the Hadron Collider particle accelerator versus the 11 terawatt hours (and rapidly growing) of electricity annually that Bitcoin consumes. Some may argue this comparison is too simplistic and ‘apples to oranges’ but the annual terawatt hour consumption figures persist none the less, and Bitcoin costs roughly 10x more energy than CERN Meanwhile, most, if not all of us will probably find it very difficult to demonstrate a cost/utility argument in support of Bitcoin having 10x more benefit than CERN. It is also worth noting that the Hadron Collider recently upgraded and became more powerful, yet is unlikely to grow its consumption requirements anywhere near the pace of Bitcoin and, in fact, heavy emphasis is placed on sustainability and energy efficiency within the program. Bitcoin, on the other hand, has no such demonstrable ethos or regard for energy efficiency or sustainability. Instead, we’re seeing bigger and more energy intensive mining farms popping up with greater frequency coupled with growing exuberance and enthusiasm about the rising Bitcoin price. 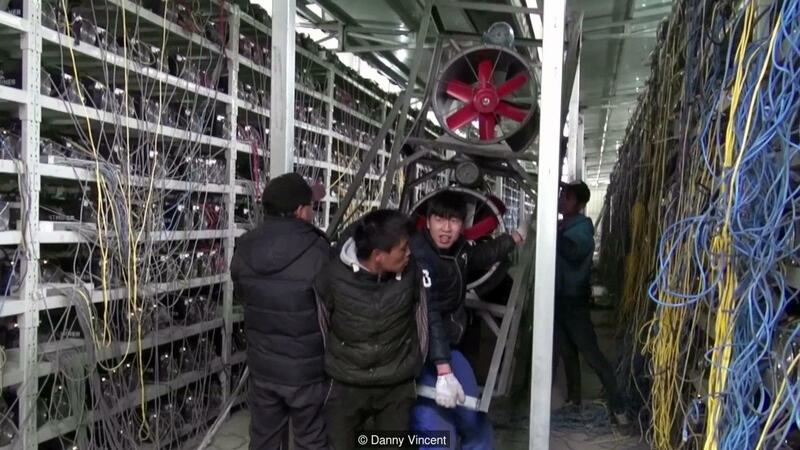 In fact, we see numerous instances where Chinese Bitcoin mining operations steal electricity from various local sources including oil plants. On April 29, 2016, Yushulin Oilfield Power Management Branch discovered abnormal power consumption in two wells and reported it to local police. A house was discovered within 300 meters where 130 bitcoin machines were seized, presumably illegally siphoning the electricity from the production plant for bitcoin mining. The Oilfield Security Department then cracked down on electricity being stolen from oil fields resulting in 1,200 units of bitcoin miners from twelve locales having been seized. In any case, if no changes are made to the system, the viability of the currency itself might be challenged because the seigniorage (defined as the difference between the face value of money and what it cost to make it) could be minimal or negative. In other words, the marginal electricity costs could outstrip the value of the newly minted Bitcoin. I’ll be writing a part 2 follow-up of this piece where we’ll look at alternatives systems such as proof-of-stake which has been successfully implemented by other cryptocurrencies including PeerCoin, and is on the scalability roadmap for Ethereum as part of the Casper protocol upgrade led by Vlad Zamfir. Co-founder of Code to Inspire and ConsenSys member. Blockchain, energy markets, enterprise solutions, non profit education.